The association of Friends was established in 1946 to provide individuals with a way of supporting the important work of the Institute. The Friends provide assistance to all aspects of the Institute's work as requested by Institute staff. Friends support helps towards acquisitions and care of collections in the Library, Archive, Museum and Picture Library. With the support of its Friends, the Institute undertakes cutting edge polar research. As a friend you will be kept up to date with news and events through our magazine - Polar Bytes and e-newsletters. As well as arranging popular lectures, we regularly hold social events both in Cambridge and across the UK, providing individuals with the opportunity to meet other Friends and members of the Institute. 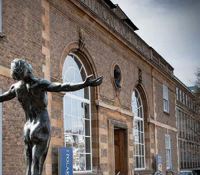 The Scott Polar Research Institute was formed in 1920 as a memorial to Captain Scott and his colleagues and is now a major international centre for polar research, information and expertise. The Library is open to anyone who wants to use its outstanding collection of over 100,000 books, maps and pamphlets. The library, which incorporates the Shackleton Memorial Library, includes rare collections of material and is dedicated to making information globally available through the internet. The Archive holds the world's largest and finest collection of polar material relating to British exploration in the Arctic and Antarctic regions. Treasures include Shackleton's Antarctic diaries. The Museum has a fine range of artefacts, including Captain Oates's sleeping bag artefacts from the search for Sir John Franklin. The Picture Library has over 80,000 photographs including stunning imagery taken from the very early days of exploration. 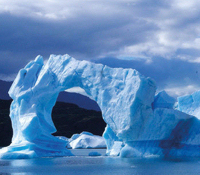 The Institute has several research groups investigating a range of globally important issues within the Arctic and Antarctic on both land and sea.